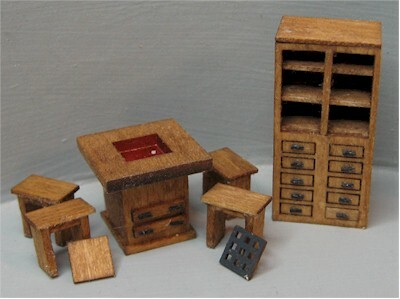 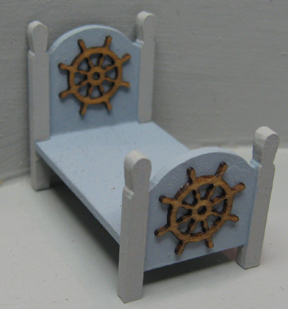 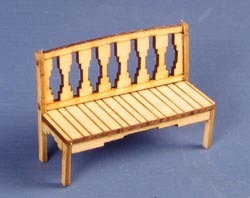 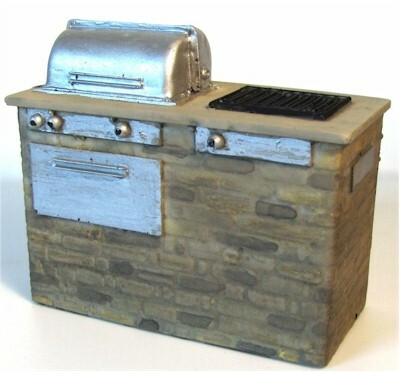 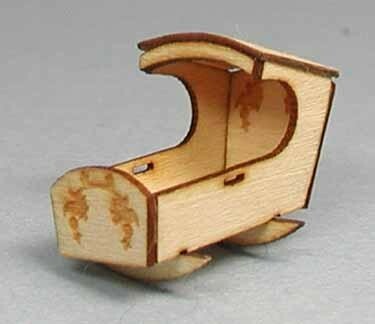 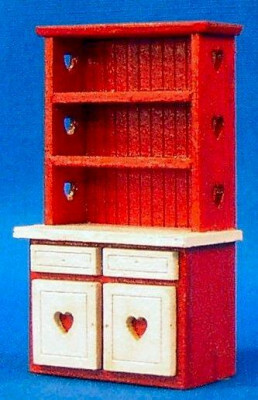 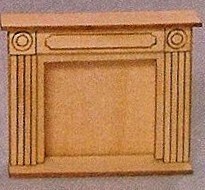 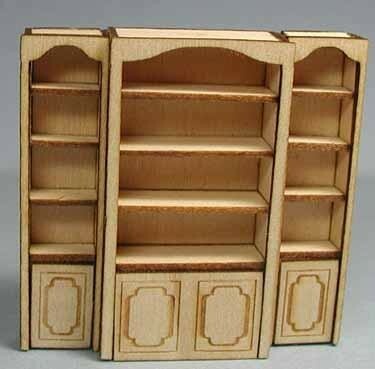 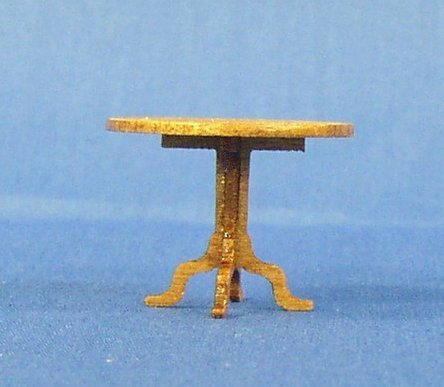 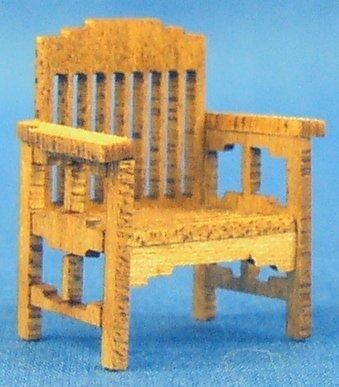 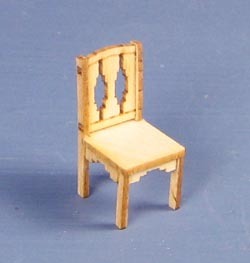 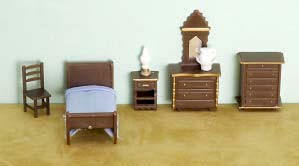 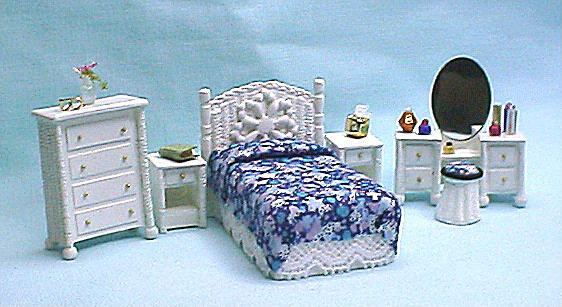 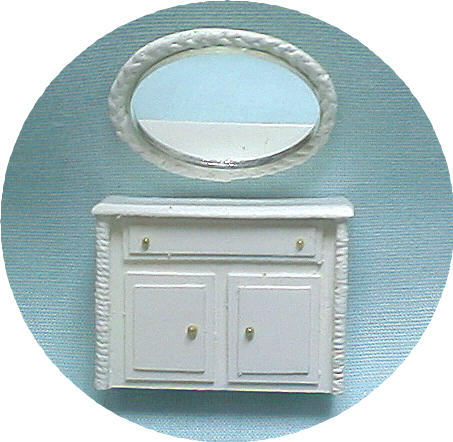 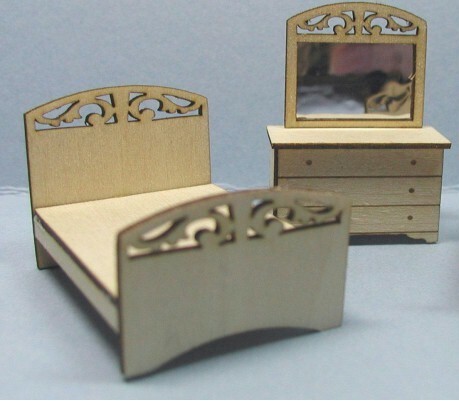 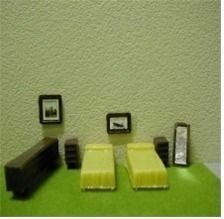 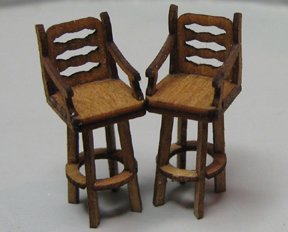 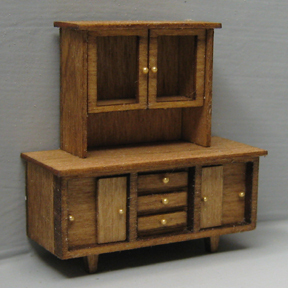 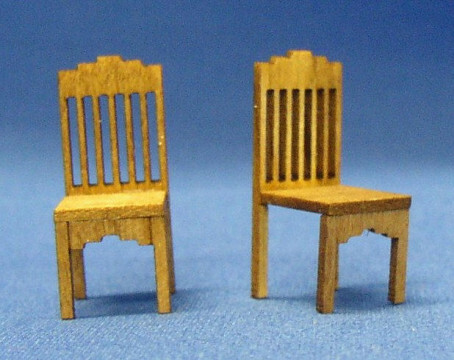 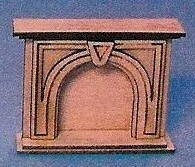 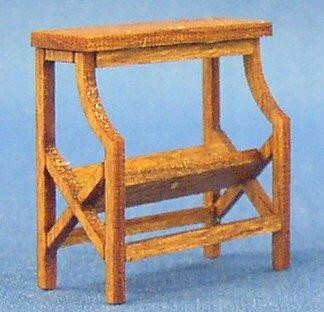 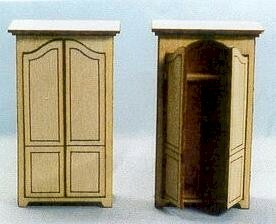 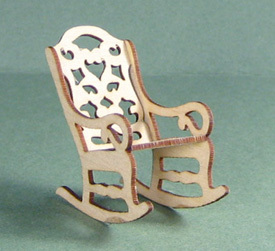 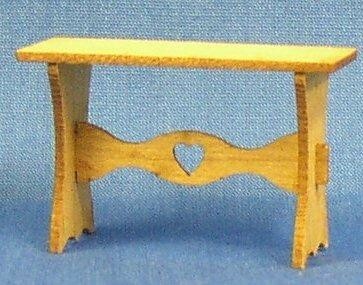 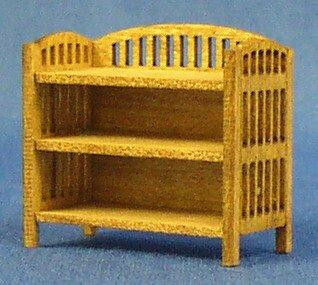 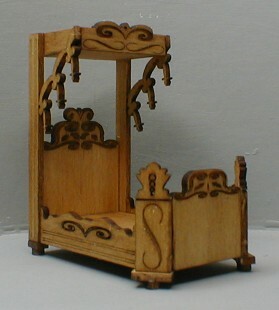 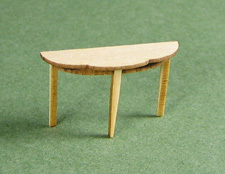 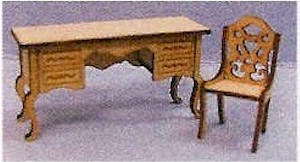 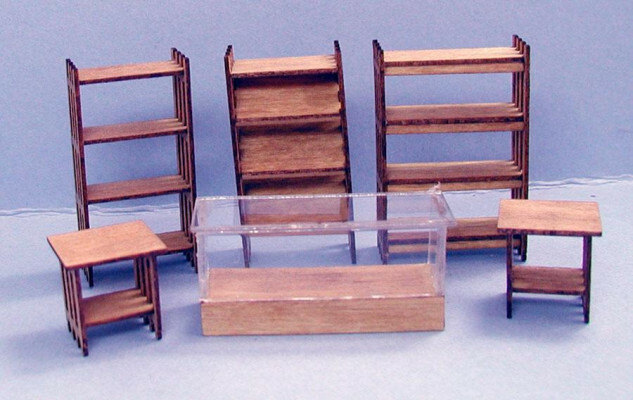 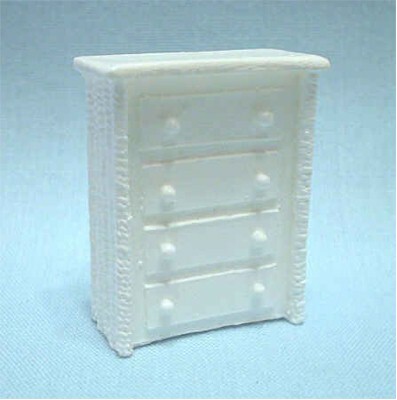 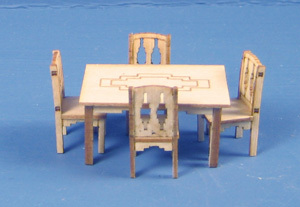 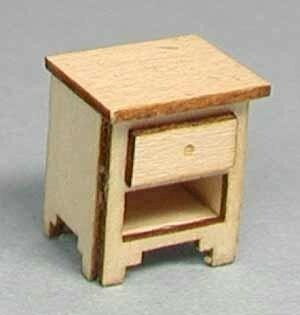 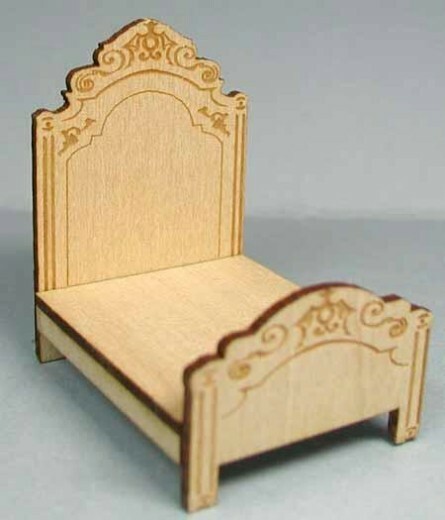 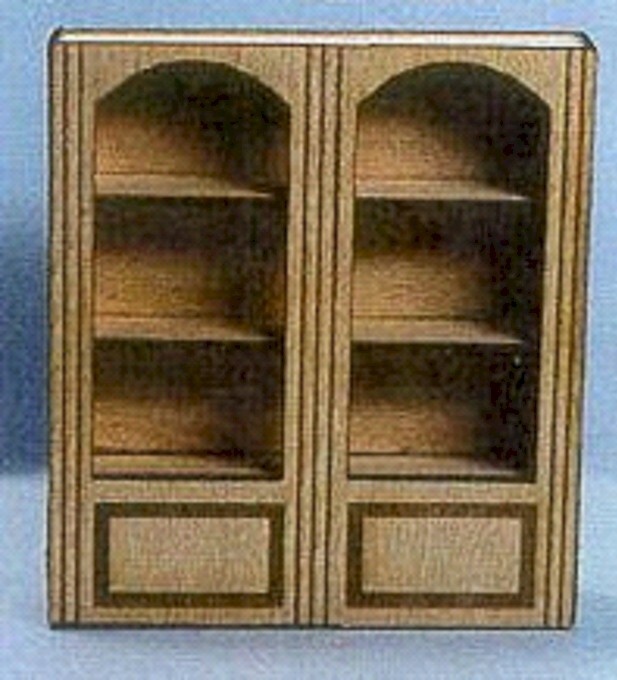 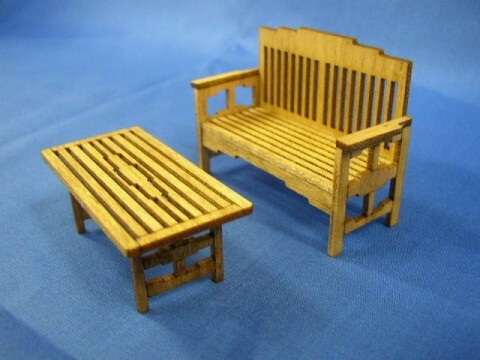 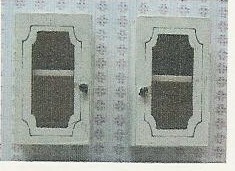 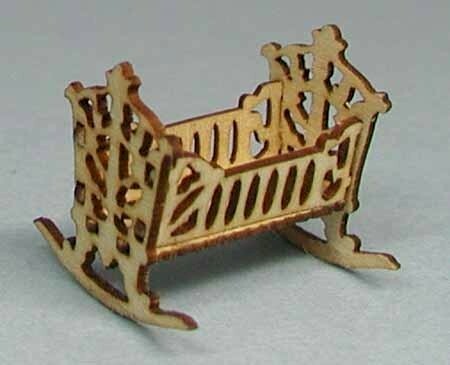 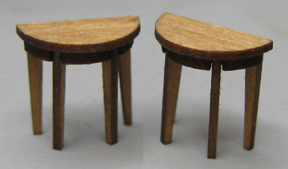 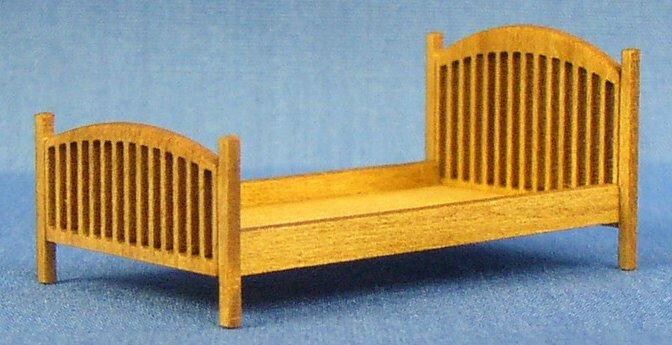 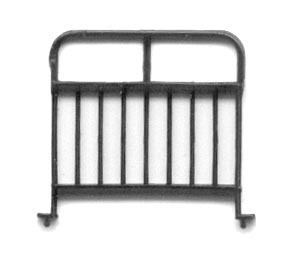 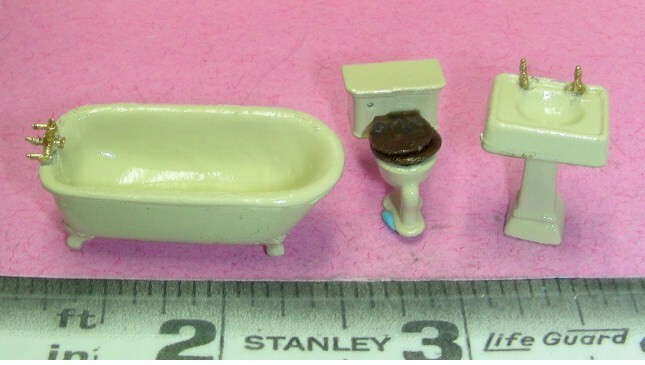 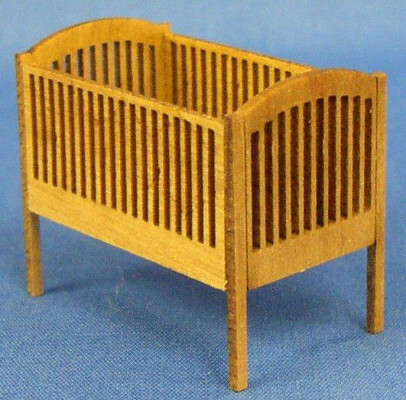 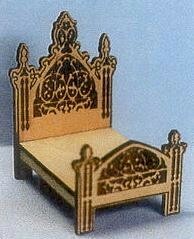 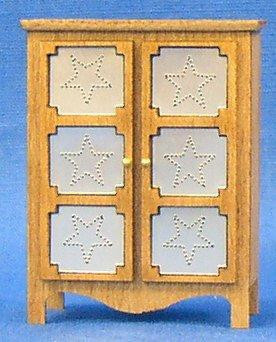 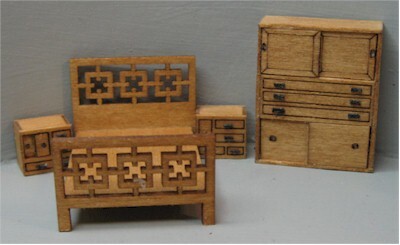 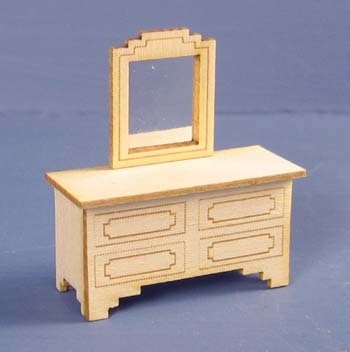 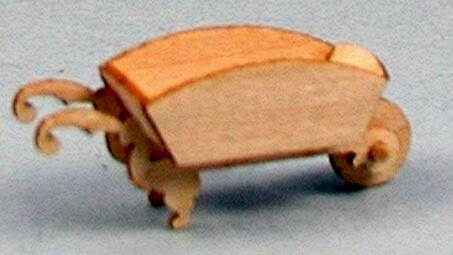 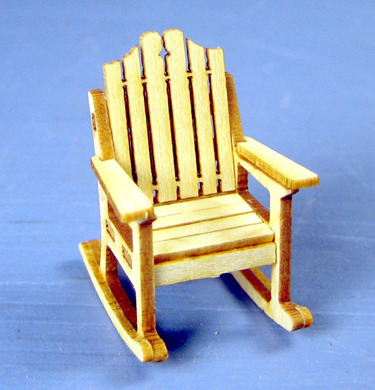 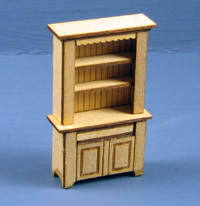 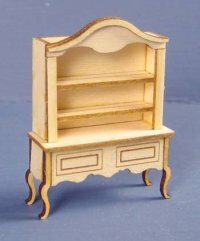 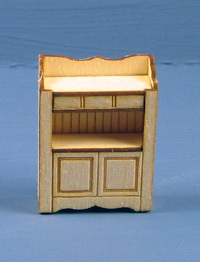 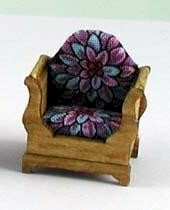 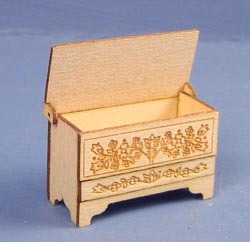 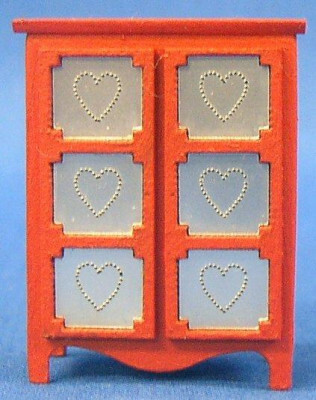 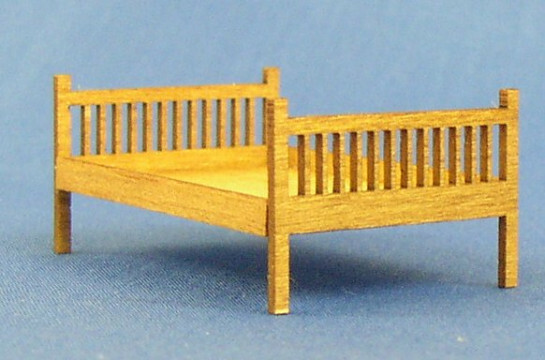 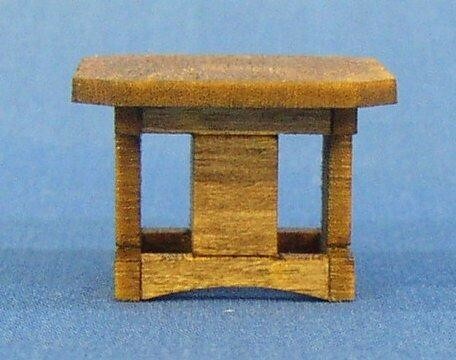 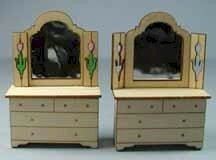 $5 each (4 in stock) For SDK QS Furniture see Baby House Furniture 120 Scale Most of the 120 scale is also available in quarter scale. I can order it for you, if you like. 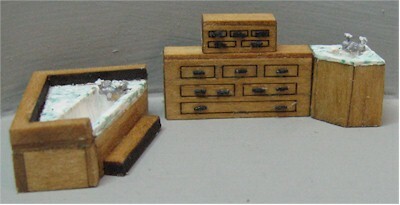 See Metals1 for individual Soda Fountain parts. 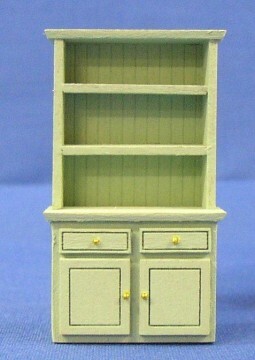 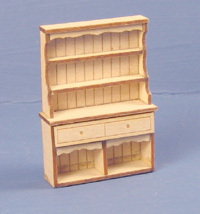 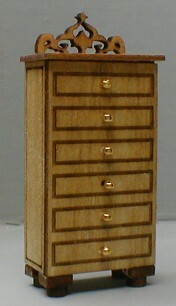 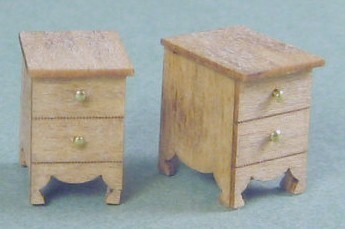 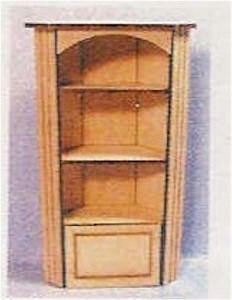 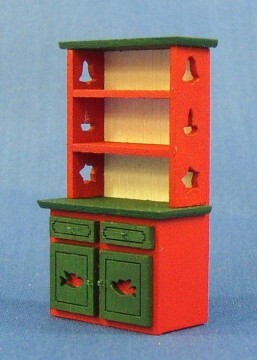 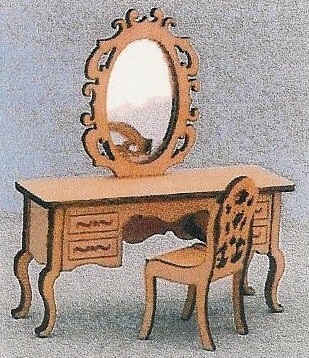 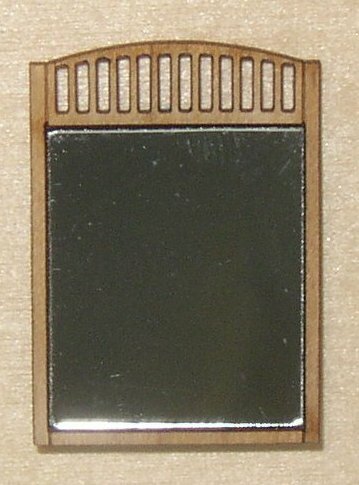 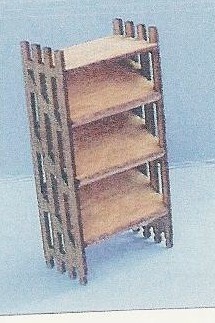 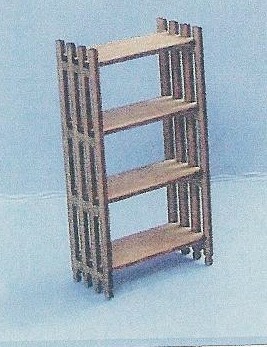 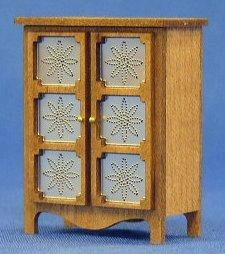 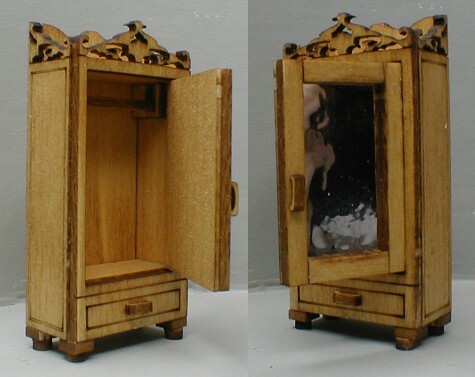 This has been changed to a wooden kit for the shelf unit. 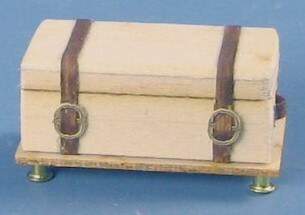 Includes Skeleton dressed in rags & bloody finger scrapings on the coffin's lid. 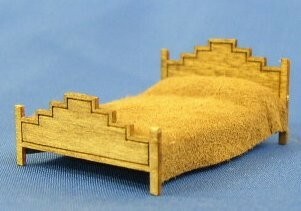 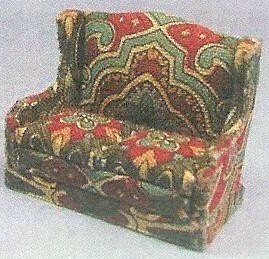 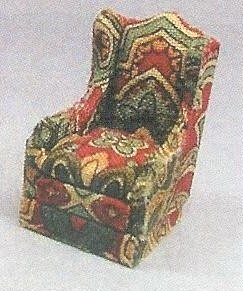 Total length 2-1/4"
Includes fabric for hinge. 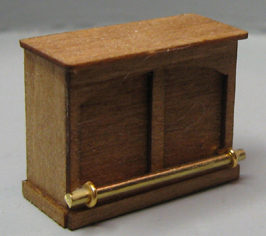 Tip on hinge. 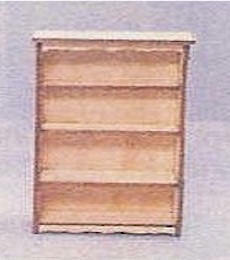 Paint or stain coffin and top, then apply hinge and paint or stain hinge to match. 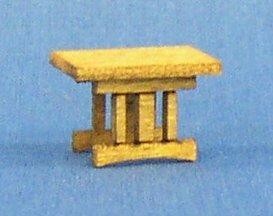 Also See Metals1 Accessories not included unless otherwise noted. 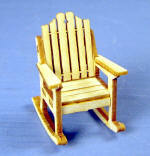 Quicker Wicker is going out of business to my knowledge and these will no longer be available once gone..
Ready to paint. 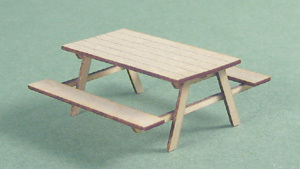 Feel free to print photo to help you finish your BBQ-grill. 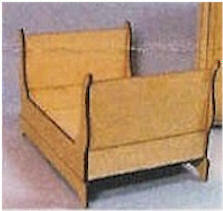 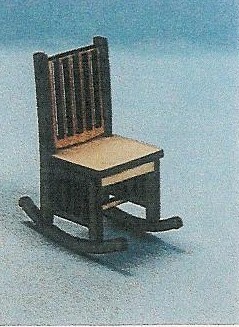 BENP-48 Patio Furniture 3 pc. 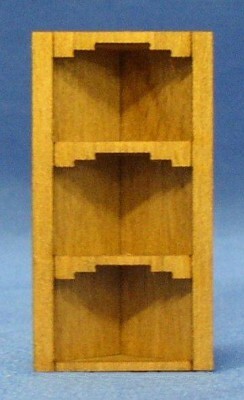 2 each 1/8", 3/16", 1/4"
T-1215DB Trees 1.5" Blue Spruce 10 pcs. 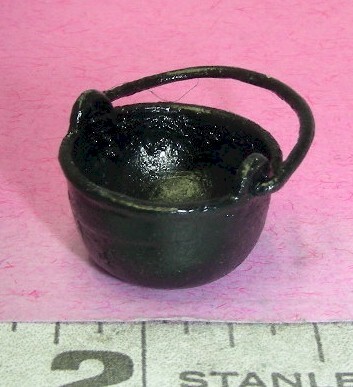 POTS: 10 pots of different sizes. 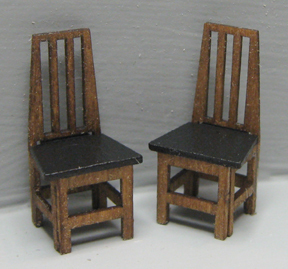 White injection molded styrene, 2 of each size. 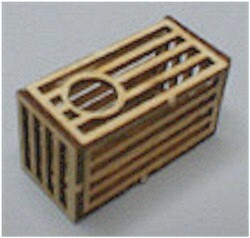 (10 piece flower pots) Note: the smallest do not have holes in them. 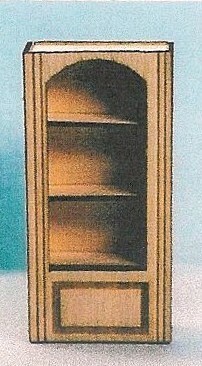 There are actually only 8 that can be planted in. 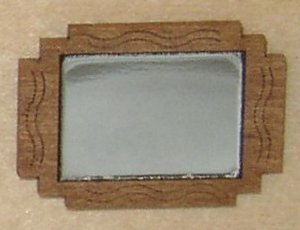 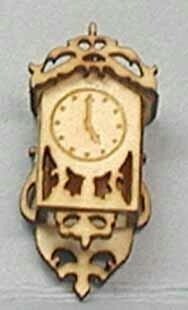 Easy to cut, using a craft knife. 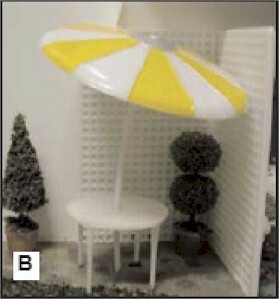 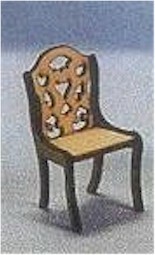 (chairs not included) QS Tables are molded in white polyethylene, the umbrellas (styrene) have alternate colored divisions. 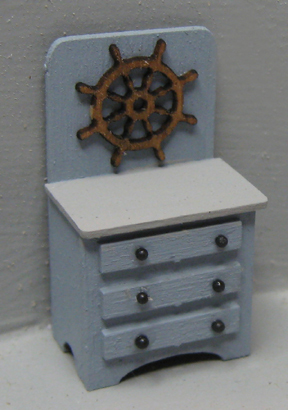 Random colors. 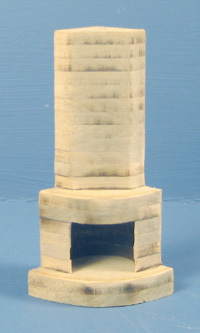 Fountains: Good level of realism with cascading water molded in. 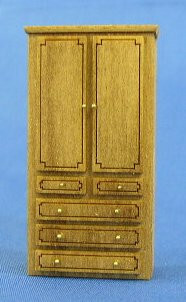 For outdoor or indoor scenic applications. 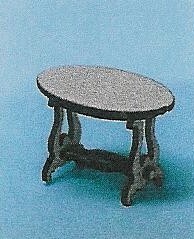 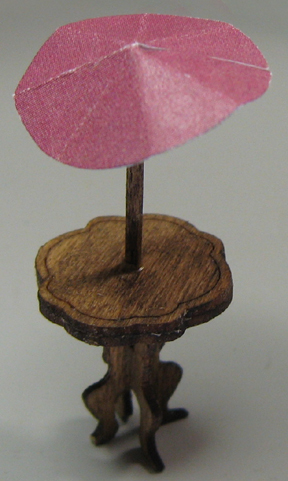 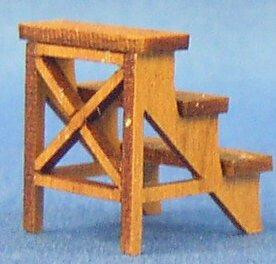 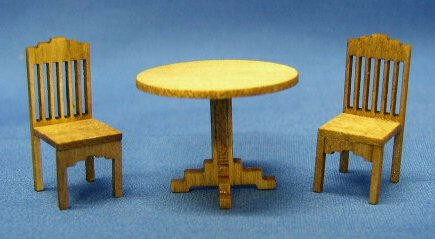 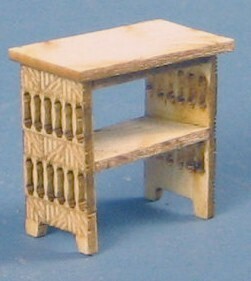 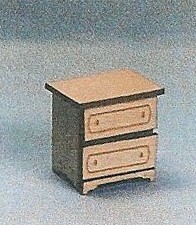 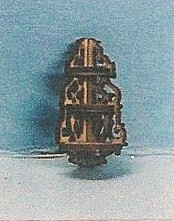 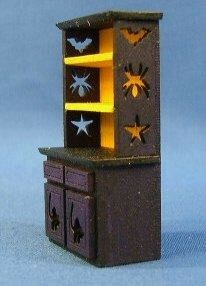 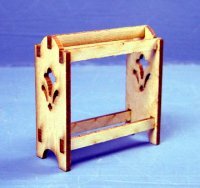 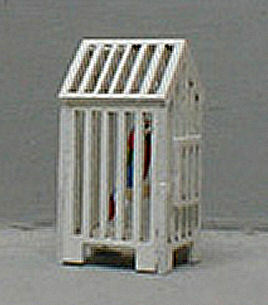 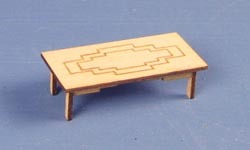 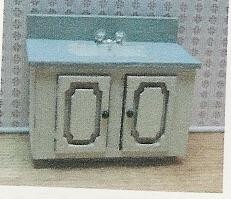 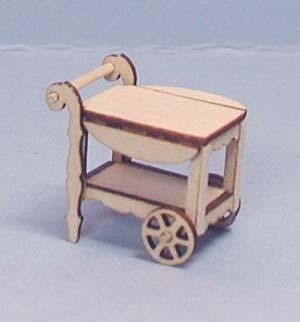 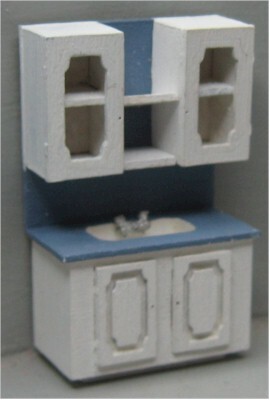 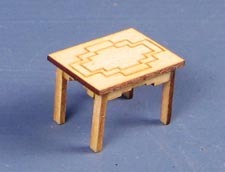 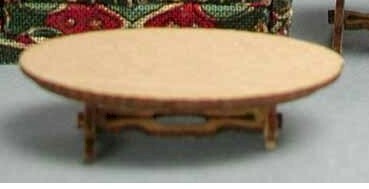 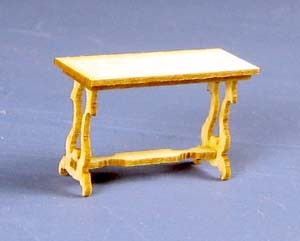 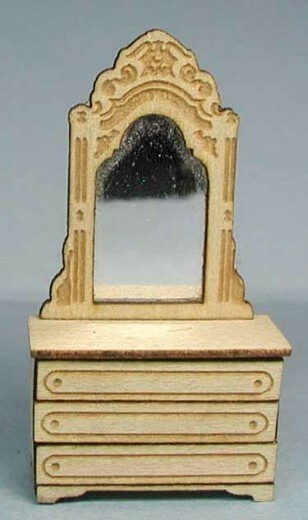 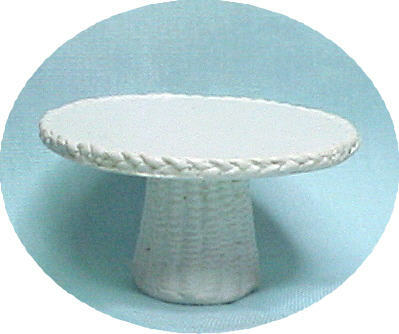 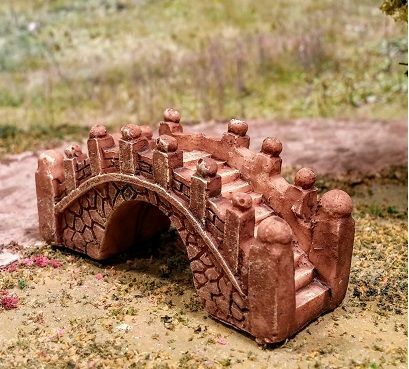 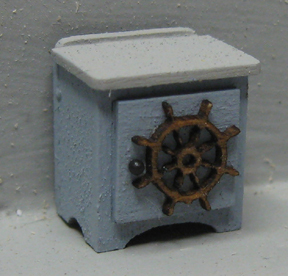 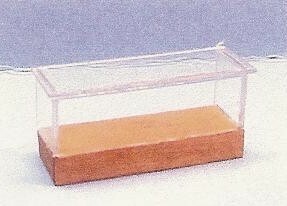 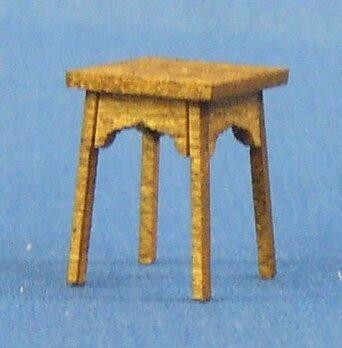 1/4 scale Base is 25mm - 1"